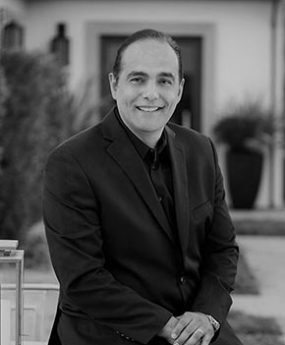 Today Nick is renowned as the go-to Realtor for luxury properties. His knowledge of the local area, commitment to his clients and complete integrity have propelled his success. He understands the unique needs of the luxury market and high-net-worth buyers and sellers. His clients know that they can trust his discretion, negotiation skills and strategic marketing plans. Distinctive marketing materials have led to his stellar reputation and many referrals from delighted clients. 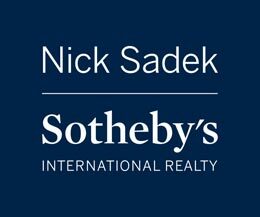 After almost three decades in the business, Nick’s passion for real estate endures. “I think what’s different about me from other agents is that I really love what I’m doing and it comes across. I’m working so hard because I’m doing it for the enjoyment and trying to help people as a friend. Nick’s wife, Dina Sadek, joined Nick in the business in 2000. She helps by showing homes and consulting with sellers with Interior Design and Staging ideas. Dina excels at researching and previewing properties. Nick and Dina celebrate over 20 years of marriage, a successful partnership that has included raising their two children, Danya and Adam together in the Roseville area. When looking for a luxury agent to help you buy, sell, invest or relocate, you want to have an agent that really has your needs first in mind. Nick is ready to help you. He can be reached at 916.966.4444. Working by referral has been an intricate part of Nick’s business. As buyers and sellers become more sophisticated with their real estate needs, they turn more to the internet for their research and finding an agent. Here are what a few of our clients have said about Nick. If you have worked with Nick in the past or are currently working with him, we would love to hear about your experience.